The MCRPT series has been discontinued. Please contact our Flow Engineering department for a viable replacement. 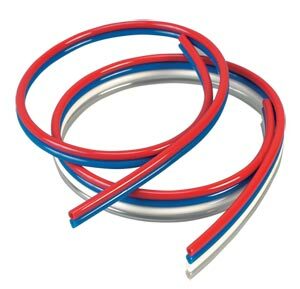 Multi-Color ribbon polyurethane tubing is a bonded ribbon of polyurethane tubing. The bonded tubing offers quicker installation and eliminates the need for additional handling to install spiral wrapping, channels or other bundling materials. The multi-color coded tubing provides quick identification of process lines for tracing and trouble shooting. 참고: Specifications listed are meant only as a guide. Each user must test the tubing under their operating conditions to determine the tubing’s suitability for the particular application.